This quirky little fella is one of main bad guys in the Mario World. You see him everywhere and often. He’s one of the easiest to beat, yes, but darn if he doesn’t take you down pretty easily if you are not careful! 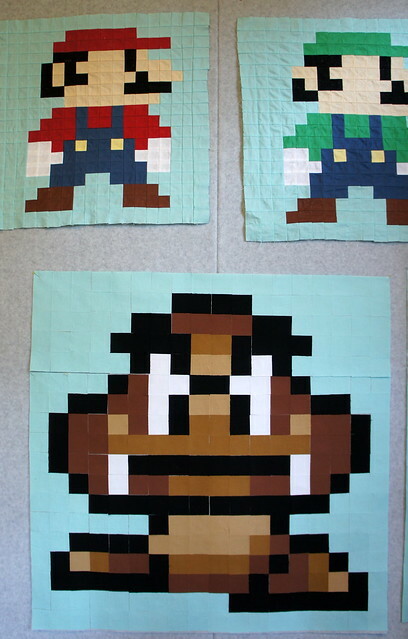 Quilting wise, he’s a little tricky because he’s made up mainly of the three shades of brown. It can be easy to use the wrong brown. So keep them in order from light to dark to help yourself out…and double check your work! 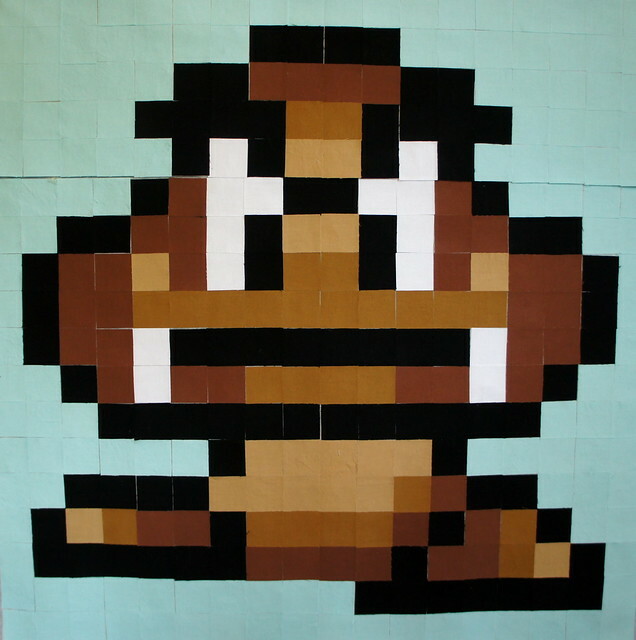 You can download the PDF of the Goomba HERE. Also stay tuned for a special blog post here by Jennifer who has some tips and tricks to share on alternate interfacing ideas! Got my pattern ready! I have only one block made, I gotta get cracking! This is so awesome! Love this idea and you're oh so talented!! I got a little overextended, but I still hope to make these little guys someday! If nothing else, I'll have to pick a favorite and make a mini (like Koopa Troopa, maybe! ).